Perfect laser has been specialized in various types of laser equipment research and development for many years and accumulated much industry experience. Perfect laser is always devoting to offer cost-effective products to our dear customers. 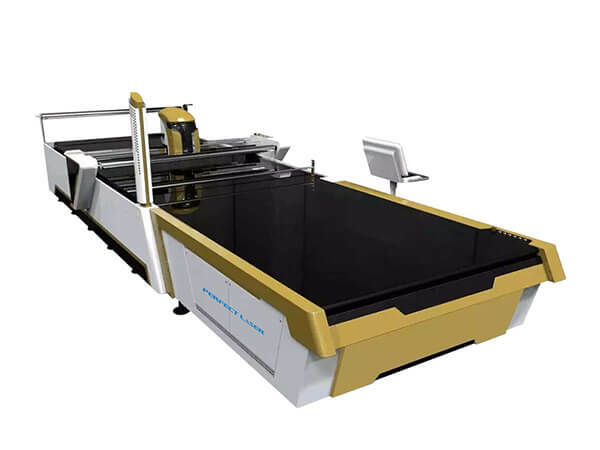 This newly developed cnc fabric cutting machine is an intelligent automated cutter, which replace the traditional cutting (hand scissors, electric clippers) successfully solving problems such as high labor cost, large material waste, low productivity. Typesetting automatically, material saving, high cutting precision, high production efficiency. It is a large change in cropping history. The cutting height of our PEDK-3300 automatic fabric cutting machine is up to 80mm. And there are two types for the cutting head: lengthened and strengthened. The automatic fabric cutting machine can be tailored to specific requirements. 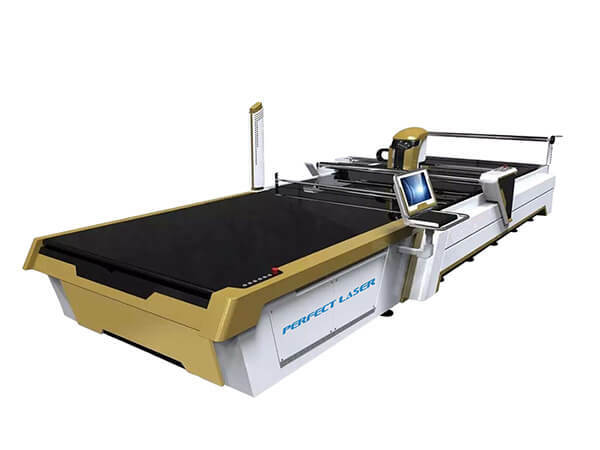 Perfect laser this kind of automatic fabric cutter uses straight knife reciprocating cutting, specifically for woven fabrics.Fully automatic cutting system by the cutting control software. Adjust the cutting order, cutting directions and cutting speed according to various demands for best cutting effect. With advanced module technology, top technology platform and intuitive touch technology, the automatic fabric cutting machine is of high intelligence, high sensitivity, high stability,high anti-interference and high operability. Application of advanced image control software can help operators to follow the instructions easily and complete the production process quickly. The cnc fabric cutting machine adopt easy control methods and enhanced visualization management system to enabling to set full range of cutting parameters for high level cutting results. Powerful integration software of the automatic fabric cutter can automatically generate a work report, providing information and data required for the implementation of continuous improvement. Also the software could be connect to the client software and be customized according to customer needs. Vacuum table of the automatic fabric cutter is 5 cm, 8 cm and 12 cm. The machine bed is long with seamless steel welded and it can be pushed together infinitely. Right angle corner cutting can be achieved. High precision with accuracy of 3si when cutting. Applicable industries: The cnc fabric cutting machine is widely applied for apparel, automotive interiors, home, luggage, footwear, home textiles, outdoor tents and other large-scale production and processing industries.